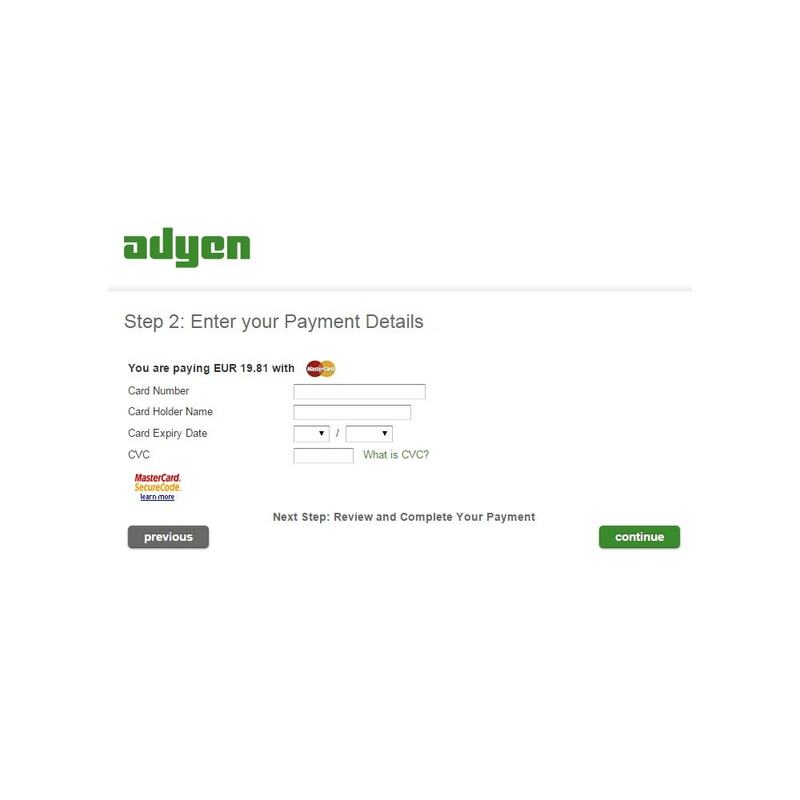 Accept online payments anywhere in the world and expand your sales internationally thanks to an all-in-one payment solution by Adyen, a leader in international payment technologies. Nothing is simpler to accept payments in your store: using this module, your customers are redirected to the Adyen payment page, reliable, secured, and customized according to your needs, to finalize their purchases. 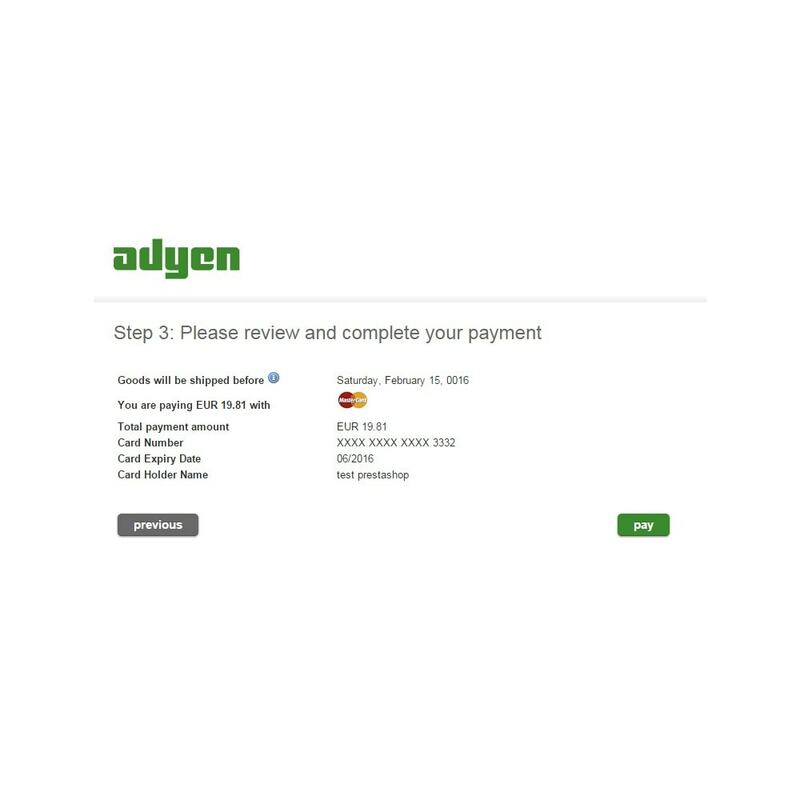 This payment solution suits merchants who process more than 1,000 transactions a month, do not hesitate to get in contact with Adyen to check with them if a collaboration is possible. 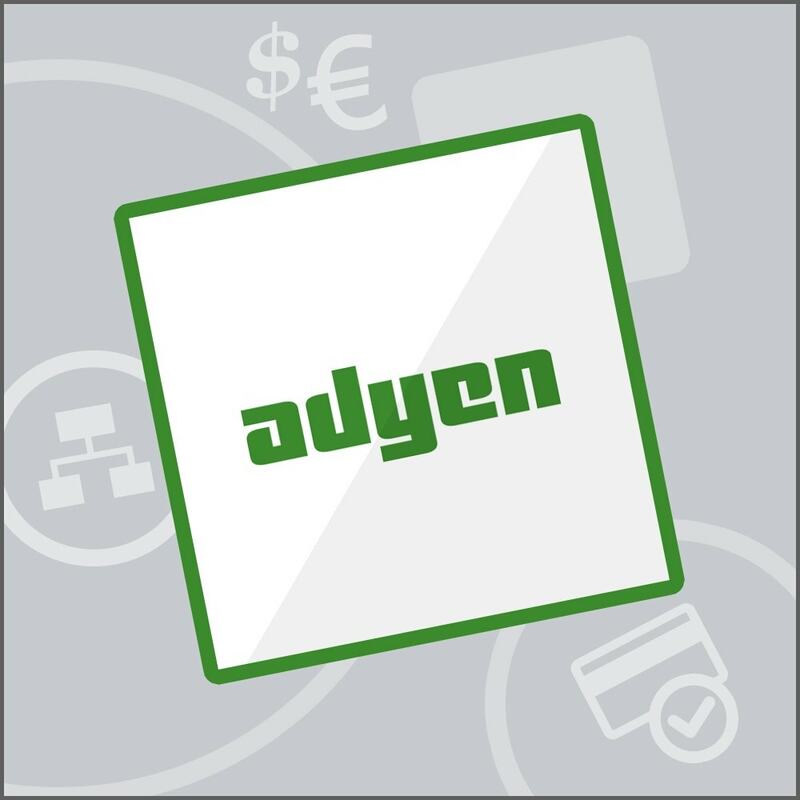 Benefit from Adyen's local payment expertise covering the majority of developed and emerging e-commerce markets, and in doing so open yourself up more easily to the world. Benefit from Adyen's continuing innovation to gain maximum control, flexibility and adaptability to different local payment preferences. 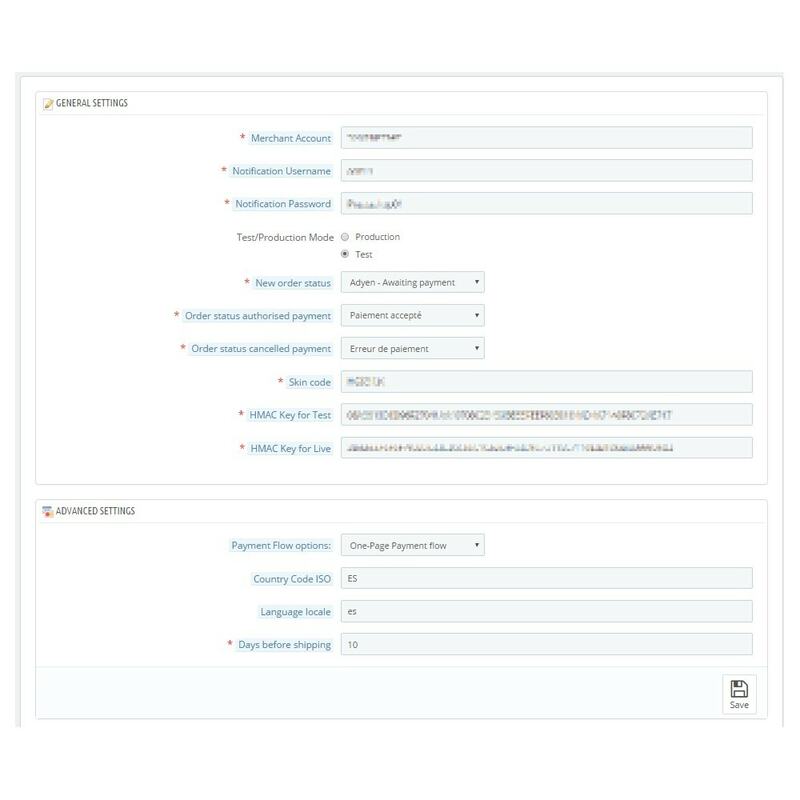 Note: Before buying this module, get in contact with Adyen to check if they can process transactions for your webshop (according to your country and your business activity). Information related to the General Data Protection Regulation (GDPR): this module uses an external service, thus its compliance with this European regulation depends on the compliance of the involved service. 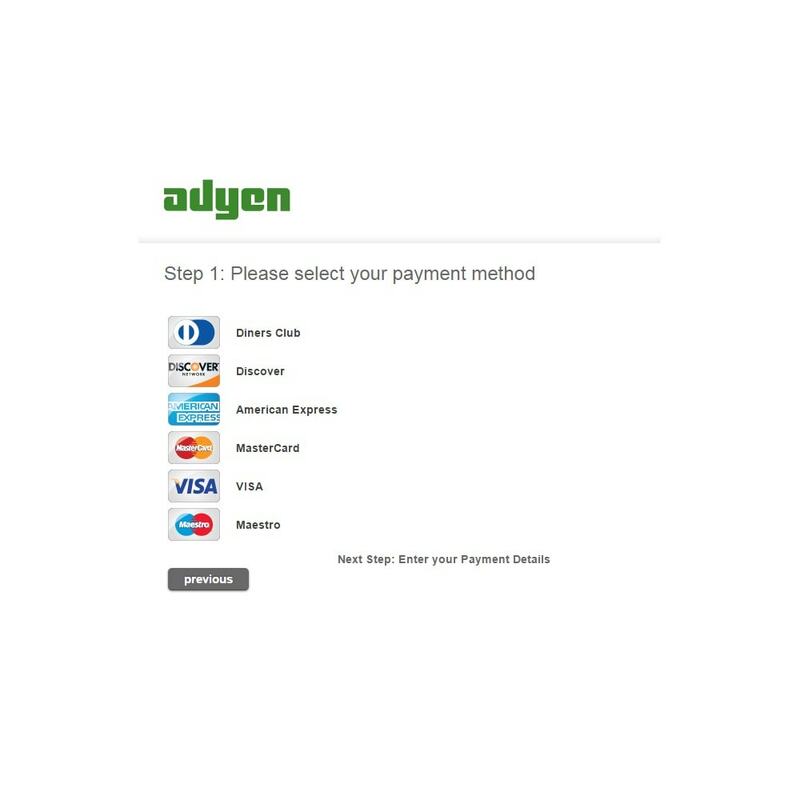 We invite you to contact Adyen directly for more information. they make their purchases in complete confidence as they will be redirected to the Adyen platform, which meets the most demanding security and stability criteria. they make their purchases with their preferred payment method while enjoying a simplified online payment process.